Smartphone and tablet gamers that are looking for a little more precision whilst playing games on their touchscreen tablets, may be interested in a new physical joystick called the ScreenStick, which has been specifically designed to provide more sensitivity whilst playing. 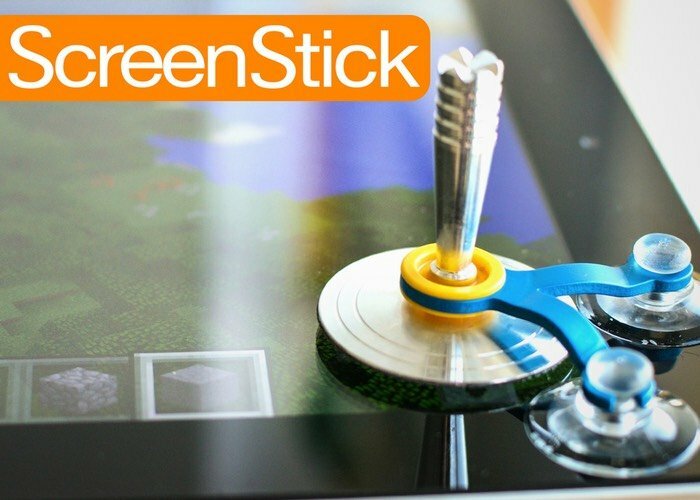 The ScreenStick joystick for tablets has been designed by a development team based in the UK and supports a variety of different simulation and action games and features strong suction cups, auto entering and more. “Our screen sticks support many different applications for tablets and smartphones. Until now, there are no proper ultra-sentitive joysticks on the market. This meant that we had to interpret the finger navigation commands from scratch. For more information on the new ScreenStick jump over to the Kickstarter website for details via the link below, and to make a pledge from £6 to be one of the very first to own one.